At Phoenix Fresh Start Bankruptcy, many of our clients who have started getting collections notices from the IRS will ask what the IRS can do if they don’t file Chapter 13 Bankruptcy. If you are not familiar with Chapter 13, it is a repayment plan that will often enable to not have to pay back tax debt that was due more than three years ago. It also enables you to pay other taxes back, normally interest free, over a three to five year period without a peep from the IRS. 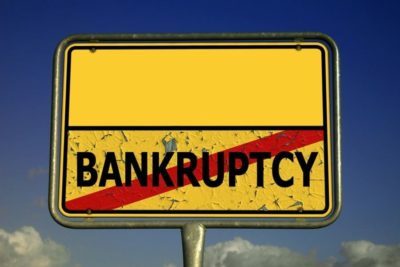 Chapter 13 bankruptcy offers a ton of other benefits, but we are talking about what the IRS can do outside of bankruptcy so don’t get me started. Outside of bankruptcy, if you don’t make an offer-of-compromise deal, get a payment plan put together, or obtain “currently not collectible status,” the IRS can force payment. Prior to doing so, the IRS will normally send a sequence of demand letters, such as a Demand for Payment, a Notice of Tax Due and or Final Notice of Intent to Levy. The demand letters let you know that the IRS intends to seize or “levy” your property. Make no mistake, with the exception of certain exempt types of possessions and income. the IRS can seize all of your possessions, including paychecks, houses, bank accounts and paychecks. A portion of your wages are shielded from being seizure. Single filers can protect at least $230 a week, while a married joint filers can exempt at least $461.50 a week. The IRS can’t take your income required to make your child support payments, workers comp and some pension benefits. Other shielded property includes certain amounts of clothing, furniture, personal effects, and job-related tools. These exemptions, like a state homestead exemption, must be raised by you or your attorney. You cannot count on the IRS to take them into account. The IRS can seize 15% of your entire Social Security benefit no matter how small. The IRS will, however, often give ow-income taxpayers a pass on getting their benefits garnished so If your check is getting hit, you should call the IRS and ask for them to stop the levy and place you in “currently not collectible” status or ask for a payment plan in a lower amount than the levy. The reality is that unless your income and assets are completely exempt from seizure, you really need to either file Chapter 13 bankruptcy or negotiate non-collectible status, a payment plan or an offer in compromise. Staring the IRS in the face once they start getting aggressive is not a fun place to be. This is the kind of stuff that leaves our clients pacing around in their houses and apartments late at night while their families are asleep. There is no need for it. There are ways out. If you would like some help, please set an appointment at Phoenix Fresh Start Bankruptcy so that we can go through your options with you.